The Cotswold Way is a wonderful national trail, covering 102 glorious miles along the Cotswold escarpment between Chipping Campden and Bath. On the ridge the views are superb and far-reaching, then drop down to find 'chocolate box' villages built of honey-coloured stone. 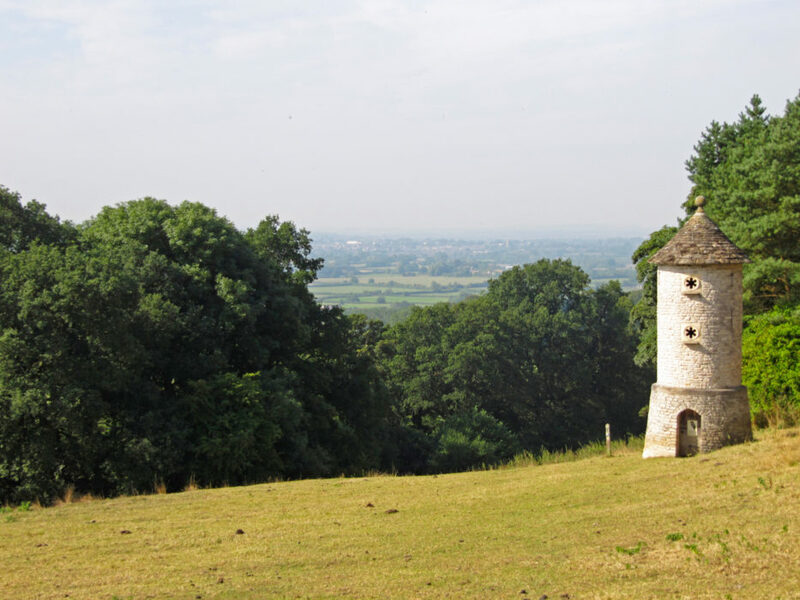 There is more to the Cotswold Way than pretty villages and spectacular views. 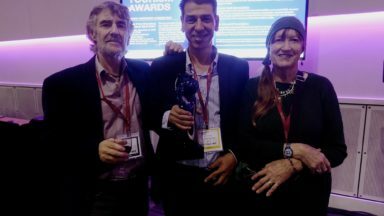 This has been a region of great significance for millennia, and there are countless hidden, and not so hidden gems to discover. 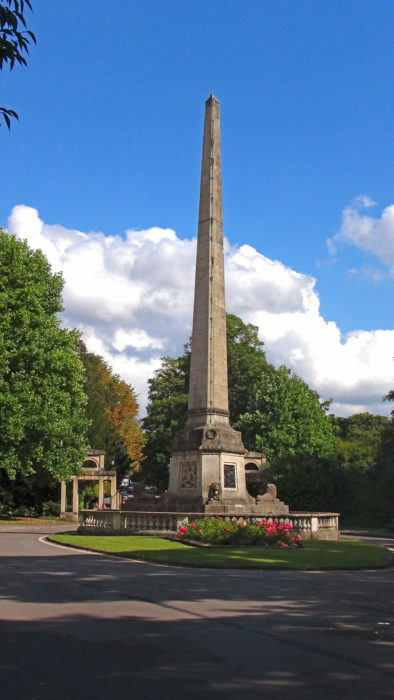 The Cotswolds have been occupied by early farming communities since Neolithic times, and there are over eighty burial tombs in the area, two of which – Hetty Pegler's Tump and Belas Knap are passed on the Cotswold Way. One of the most striking Neolithic settlements can be found at Crickley Hill, which is the site of an Iron Age Hill Fort and Neolithic causewayed camp. 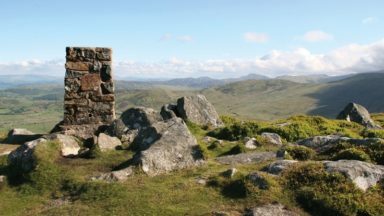 It is the prevalence of Iron age forts along the line of the escarpment that is perhaps the most interesting to walkers as they journey along the Way. 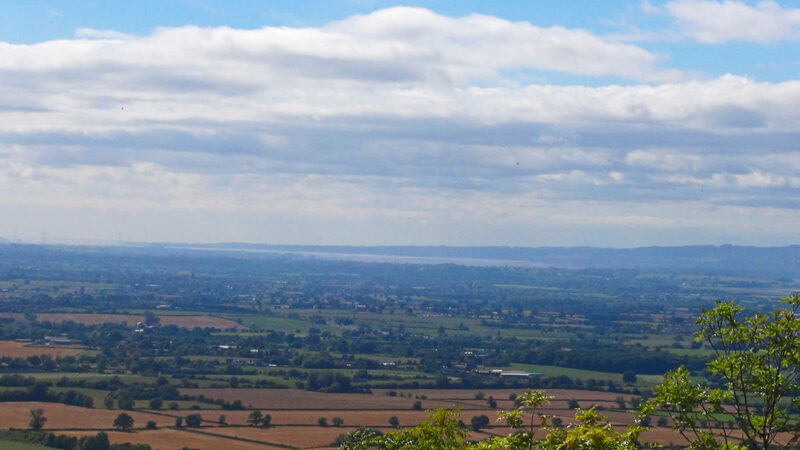 There are dozens of them – and all in fantastic positions high on the escarpment commanding far-reaching views towards the Black Mountains, Brecon Beacons and Bristol Channel. 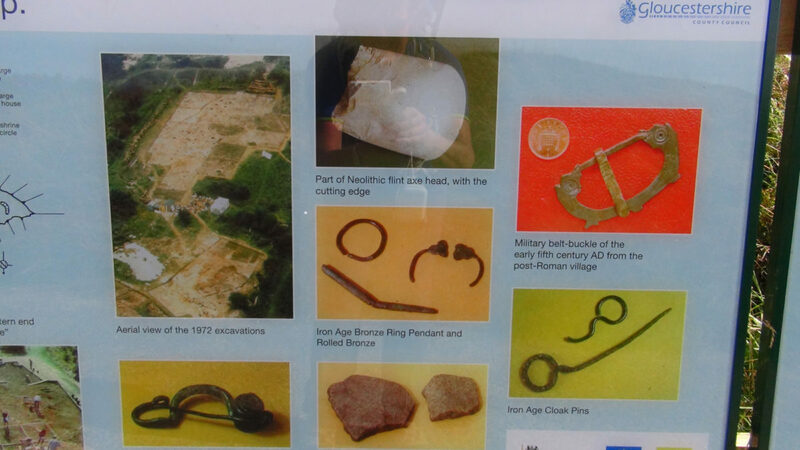 Most have information boards at the very least, but some have an entire visitor centre, reflecting the importance of the sites. 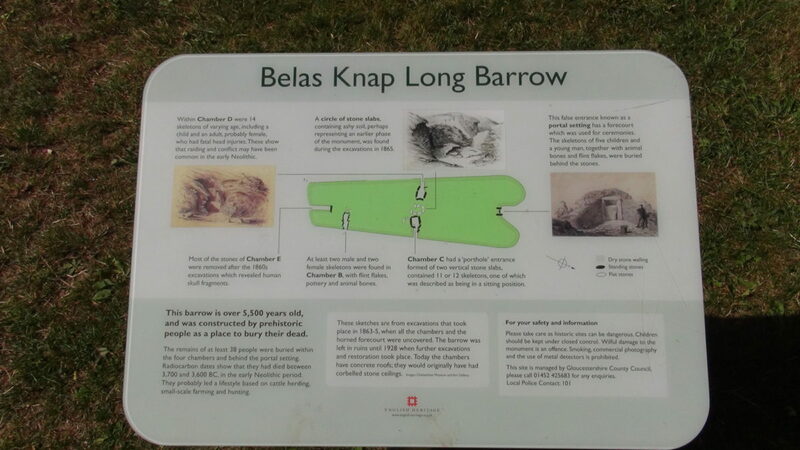 Belas Knap, a wedge-shaped mound measuring some 178ft (54m) long, 60ft (18m) wide and about 13ft (4m) at its highest point, dates from about 3000bc. At its northern end is a false portal with two horns lined with drystone walling and blocked by a massive slab. There are two chambers along the eastern side, one on the west and another at the southern end, reached by shallow passages walled with stones laid in almost identical fashion to many of the drystone walls seen along the Cotswold Way. 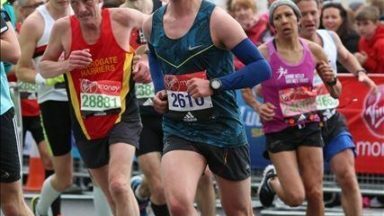 No less than 26 burials were found to have been made in the paired north-east and north-west chambers, and the remains of two males and two females in the south-eastern chamber. The 1863 excavation also revealed Roman coins and pottery. 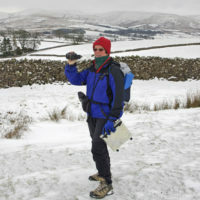 Guidebook to walking the Cotswold Way National Trail. 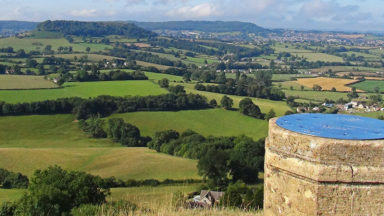 Between Chipping Campden and Bath, the 102 mile route explores the Cotswolds AONB. 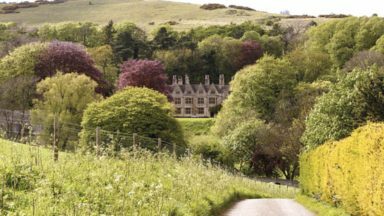 Described in both directions over 13 stages, the Cotswold Way can be walked year round and is suitable for beginner trekkers. Includes separate OS 1:25,000 map booklet of the route. 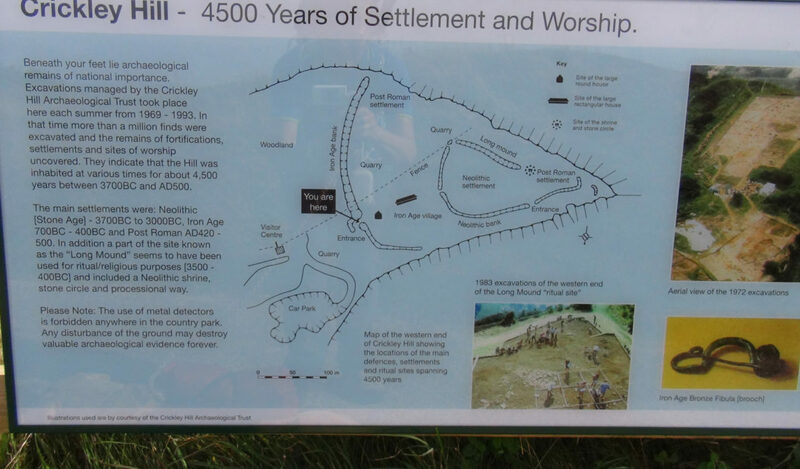 Shortly after leaving Belas Knap you walk through woods, then emerge at Cleeve Hill, once again the site of several Iron Age Hill forts and earthworks, and a wonderful place to spend the night and watch dramatic sunsets. A full day of walking brings you to Crickley Hill, perhaps the most important of all the hill fort sites. Back in 1972 I and a number of friends were bundled off after our 'O' levels to do something useful for a week, and we ended up helping on the dig at Crickley Hill, excavating post holes that would have supported buildings, and occasionally finding tiny pottery shards and flint tools. Little did we realise that our labours would contribute to such an important example of an Iron Age hill fort and settlement! 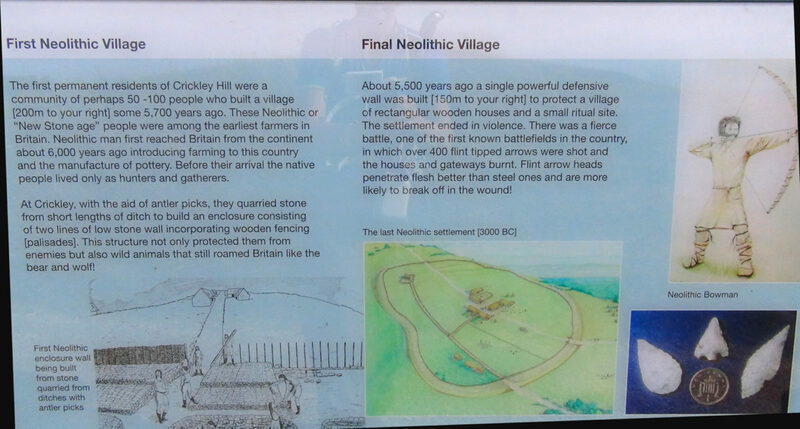 To read more about the excavations at Crickley Hill, see the images below. From Crickley Hill the hill forts keep coming... Haresfield Beacon, Uleybury Hill Fort, Horton Hill Fort, Sodbury Hill Fort, Brackenbury Ditches and Little Down Hill Fort. 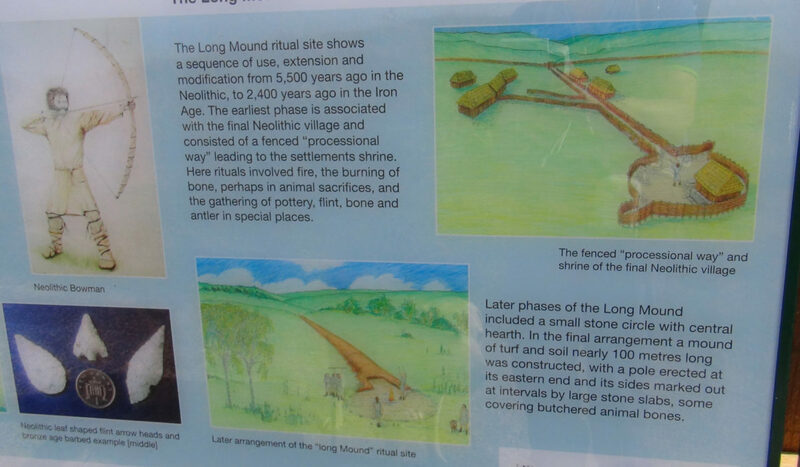 Not to mention Nympsfield long barrow next to Hetty Pegler's tump. What amazing names! 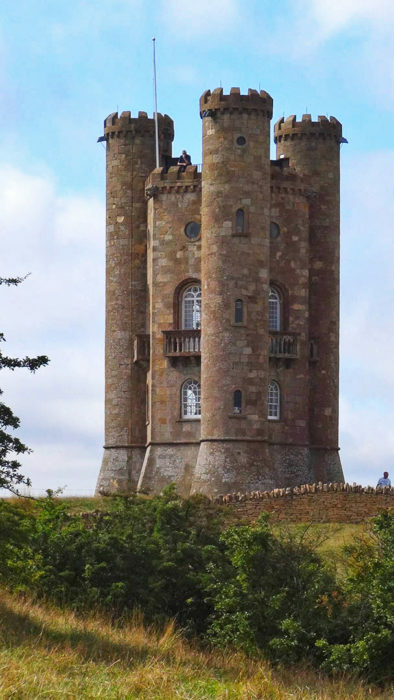 This article also mentions towers, and there are two striking towers on the route, the first is Broadway tower, the top of which, at 1089ft, is said to be the highest point in the Cotswolds. Cleeve Common is the highest ground. 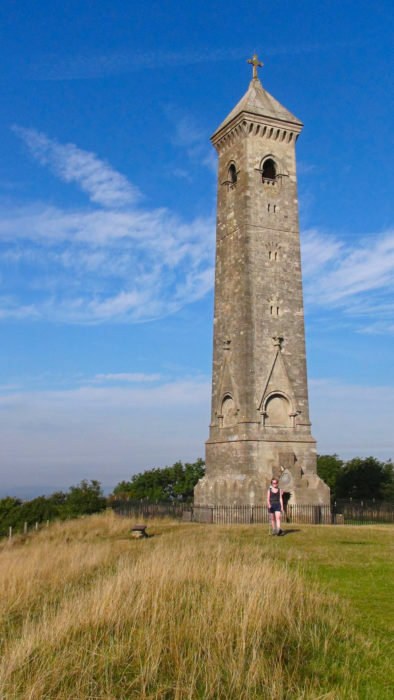 Perhaps the other most prominent tower on the route is the Tyndale Monument on Nibley Knoll, which is 111ft high. It was built in 1866 in memory of William Tyndale, who translated the bible into English. 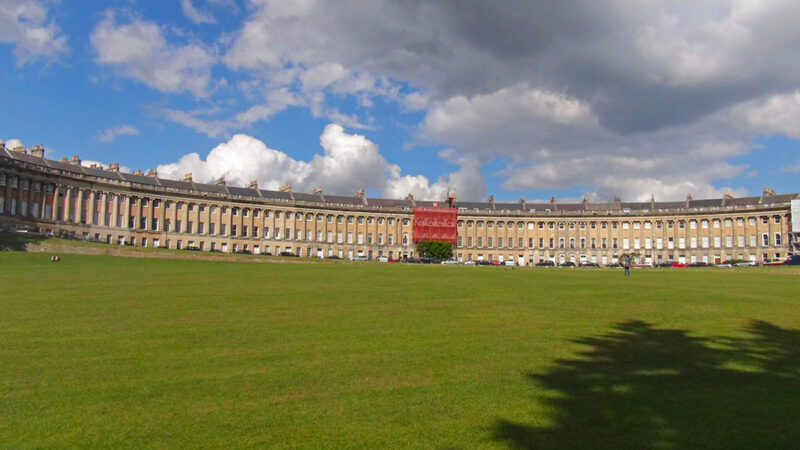 At the southern end of the Cotswold Way stands the UNESCO world heritage city of Bath – and a fitting place to end (or begin) a trail full of historic interest, as well as some of the most sublime views southern England has to offer. 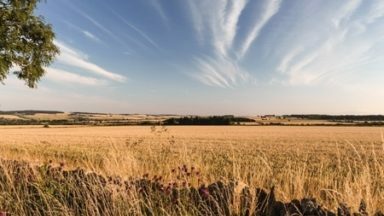 The Cotswold Way – why a national trail?